whole: the image is positioned in the lower two-thirds. 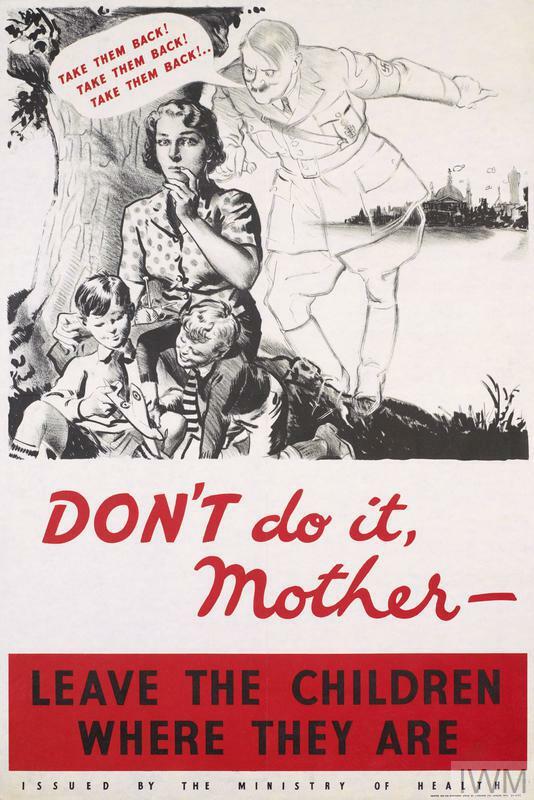 The title and text are separate and placed in the upper third, in red and in black. 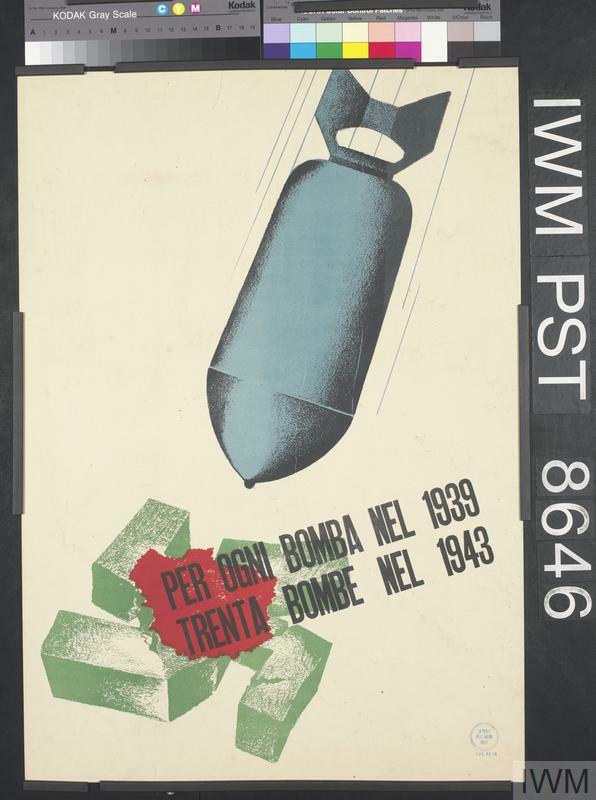 Further text is partially integrated and positioned in the lower third, in black held within a white inset, in red and in black held within a green inset, and in white held within a black inset. All set against a white background. 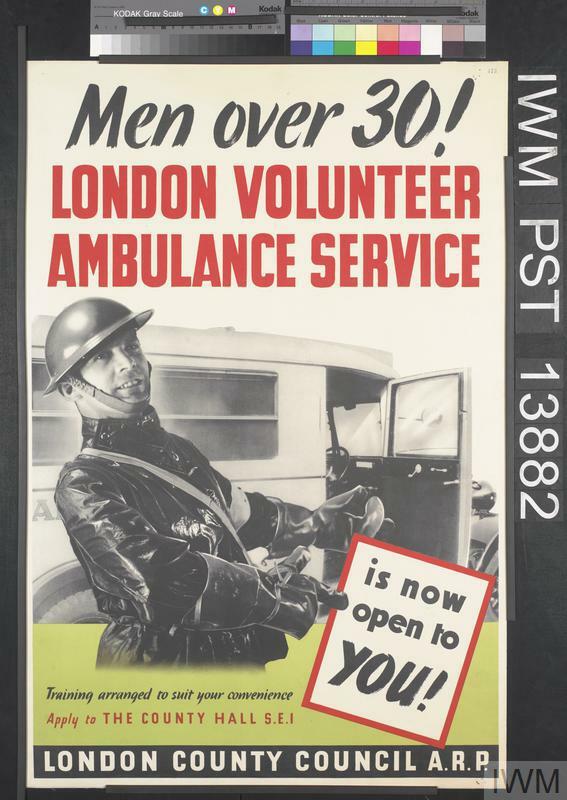 image: a photomontage showing a half-length volunteer paramedic, dressed in protective clothing and a helmet, standing in front of an ambulance. His arms are outstretched, indicating a text inset positioned at his side. text: Men over 30! 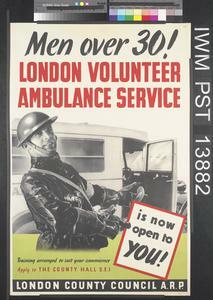 LONDON VOLUNTEER AMBULANCE SERVICE is now open to YOU! Training arranged to suit your convenience Apply to THE COUNTY HALL S.E.1 LONDON COUNTY COUNCIL A.R.P.